Besides the natural and inevitable coarseness with which he repeats all that the press and public opinion of Spain have said of Weyler, "It shows once more that McKinley is weak and catering to the rabble and, besides, a low politician who desires to leave a door open to himself and to stand well with the jingos of his party." Somehow, Dupuy de Lôme's letter fell into the hands of Cuban rebels who then sent the letter to Cuban Junta abroad. Cuban expatriots took the letter to U.S. Secretary of State William R. Day and exposed Dupuy de Lôme's insults. 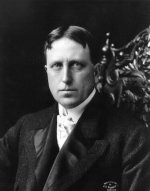 New York Journal owner William Randolph Hearst published the letter on February 9, with the headline "The Worst Insult to the United States in Its History." Once Hearst published the letter, the news of the insults filled newspapers across the country, and the story became a true international scandal--the U.S. public was outraged, the President demanded an apology, and the ambassador resigned. In the end, the Dupuy de Lôme letter scandal left Spain further demonized and the U.S. public calling for action; these forces pushed the United States closer to war. .
Dyal, Donald H.. Historical Dictionary of the Spanish American War. Greenwood Press: Westport, CT, 1996. Gould, Lewis L. The Spanish-American War and President McKinley. University Press of Kansas: 1982.